Kobe Bryant is one of the most accomplished NBA players of all time. 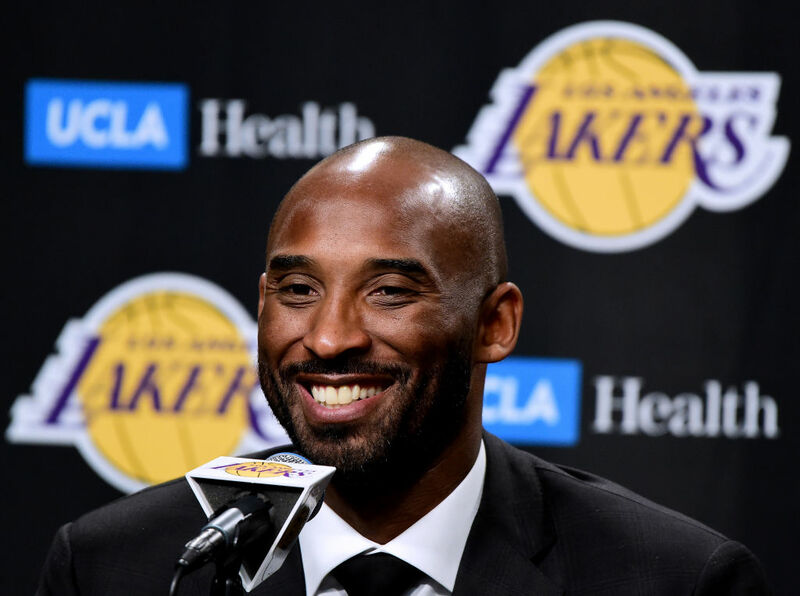 With accolades on his resume such as 5-Time NBA Champion, 18-Time All-Star, and 11-Time All-NBA First Team, among others, there isn't much the Lakers legend hasn't accomplished. But now, he can add yet another accolade to the list. Nominations for the Academy Awards were announced Tuesday morning, and Kobe Bryant's short film, 'Dear Basketball,' was chosen as one of the nominees for "Best Animated Short Film." The film is an animated version of the letter Kobe wrote for 'The Players' Tribune' back in 2015 to announce he was retiring from basketball. In response to receiving an Oscar nomination, Kobe tweeted: "What?? This is beyond the realm of imagination. It means so much that the @TheAcademy deemed #DearBasketball worthy of contention. Thanks to the genius of @GlenKeanePrd & John Williams for taking my poem to this level. It's an honor to be on this team. #OscarNoms"
'Dear Basketball' was narrated by Kobe and animated by Glen Keane, who animated classics such as 'The Little Mermaid,' 'Beauty and the Beast,' and 'Aladdin.' The film is also scored by 5-Time Oscar winner John Williams, who composed the scores of 'Star Wars,' 'Jurassic Park,' 'Jaws,' and other legendary movies. The film is one of 5 films nominated for the "Best Animated Short Flim" award. The Academy Awards will be announced on Sunday, March 4. Kobe Bryan's new brand is his latest business venture – and he's brought an entire roster of athletes with him. Back in 2014, Kobe Bryant invested $6 million to buy a 10% cut of the sports drink company BodyArmor. Today that stake is worth $200 MILLION. Kobe Bryant has kept himself busy since retiring from the NBA. Here's a look at some of his latest business ventures.